At Just Property Middelburg, we treat our clients like family. If you are in need of a professional property management team, choose Just Property Middelburg. We are a real estate management company that takes pride in being the number one company among all other property management companies. Just Property is an national group of real estate experts with over 200 offices in total, we are one of the best in the country. The aim of the Just Property Middelburg is to leverage off of the global experience and resources of Just Property, to bring the best of national and local real estate practices to those looking for property management solutions in the South Africa. As the years roll by, business becomes increasingly driven by technological forces that can sideline human interaction. It’s an important part of the Just Property Middelburg ethos to maintain personal and helpful communications with our clients, while taking advantage of our world-class technological innovations. Property management couldn’t be easier than with our proprietary tenant management system and owner’s statements. More importantly, when you invest your trust in a Just Property agreement, you know you’re dealing with a business that is made up of family – and we treat our clients and tenants like their one of our own. Middelburg is a large industrial town in Mpumalanga and also has a large farming community. Columbus Stainless, a large stainless steel plant, is situated here. For many years, the industrial activities of the steel plant and its peripheral activities such as coal and transport, provided much of the employment and largely drove the economy of the town, although other sectors such as agriculture have gradually grown to be important. Middelburg has excellent schools. There are four High Schools, one which is a Technical High School and five Primary Schools. Middelburg is well situated close to cities, but is still in a countryside environment. The town is also situated conveniently close to one of the main routes to the Kruger National Park. Our excellent team is here to help you get the information you need to make informed decisions in the buying or selling process. Whether you are just looking around for more information or wondering what your property could sell for, our team can get you the correct information you need to move to the next step. Whether you are relocating, looking to upgrade or even looking to downsize, we can help you find your next home. Our team has been operating in Middelburg since 2004. We have the experience to find exactly what you are looking for as Middelburg is a growing town with a lot of potential. Just Property Middelburg has been the leaders in Commercial market in Middelburg for the past 9 years. Just Property Middelburg was, for the past few years, one of the top three branches for the Top Performing Commercial Agency in South Africa. With our knowledge and expertise we can give advise to any prospective Landlord and Tenant. We've been dealing with National well known leading companies which are currently on our Vendor List. Just Property Middelburg has dealt with large mining companies and well known agricultural companies to name but a few. We have excellent relationships with local developers and we are in a position to provide clients with a suitable proposal to suit their needs. 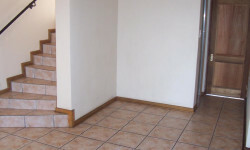 32 John Magagula Street, Unit 2, Middelburg, Mpumalanga, 1050.